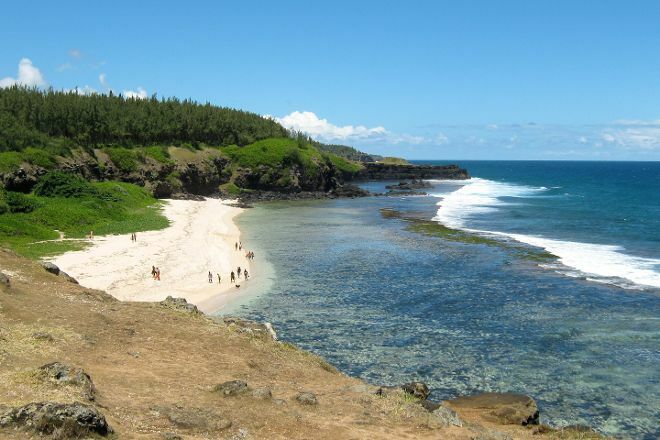 Admire the power of nature at Gris Gris Beach, a strip of coastline offering a nice counterpoint to Mauritius's many calm sandy beaches. Stand on the remote clifftop and watch the powerful waves crashing into the rocks below, or head down to the sandy beach to see fish swimming over the coral and feel the ocean spray. You can't swim here as the current is too strong, but you can relax on the sand and enjoy a snack from one of the mobile vendors. For Gris Gris Beach and beyond, use our Souillac day trip planning website to get the most from your Souillac vacation. Unrealistic views! Powerful Ocean beating on the rocks! Wind shear! Great review site. After the calm shores of Mauritius is the place makes you remember that you are on an island in the OCEAN! Here you can experience the forces of nature. The surf is simply breathtaking. Particularly impressive seen in nature, if you take the walk on the rocks in purchase.